Yahoo! has once again modified the appearance of their sports data package...standings, schedules, box scores, etc. I prefer the old format, but that's really not the point. What it does not appear as if they've done (and they never do) is to fix the bugs that are endemic. 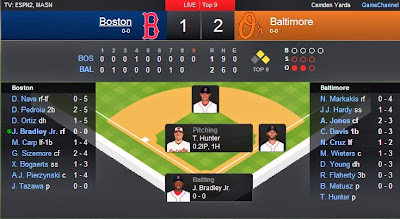 Today, it appears from the BOS/BAL box score that the AL has made some serious changes to the DH rule; apparently teams must have a DH, but must remove one of the other fielders as a result. The Red Sox went without a third baseman, the Orioles without a second baseman. Never change, Yahoo! box scores. Picking this division is not fun; I’m assuming here that Tampa Bay can maintain a reasonably steady level of performance, that Boston will regress a bit, and that all of New York’s free agents will only serve to paper over the loss of Cano and perhaps achieve underlying quality at the level of 2013’s actual record. It’s not at all hard to envision scenarios where the Rays’ decline in minor league depth leave them unable to overcome injuries and they end up as sellers, or where the Yankees get a rebound from Sabathia, improvement from Nova, a resurrection of Pineda, and end up with a fearsome starting rotation. What I’m more confident about is that Toronto and Baltimore would need a lot to go right. Picking Toronto ahead of Baltimore may feel wrong, and may be an opportunity to chide sabermetricians about overlooking the Orioles again, but the 2013 Orioles were essentially what their statistics said they should have been. A late flourish to add Nelson Cruz and Ubaldo Jimenez only slightly pushes their projection forward, and is pretty much wiped out by potential regression/injury woes for Manny Machado. A lot of people (myself included) were way too high on the Blue Jays last year, but a lot went wrong and a .500 season is a reasonable target. The potential cracks show in the Tigers: their now ugly shortstop situation, the growing reliance on Miguel Cabrera in the middle of the order, aging complementary hitters; but given the competition, they are still among the safest bets to win a division. The Royals figure to be the new leader of the chase pack if their starting pitching patches (most importantly Yordano Ventura) can deliver. I’m not at all convinced that picking the Indians third with 80 wins was a good idea--the closer it is to the season, the worse I feel about the rotation and the more the possibility of one of those annoying White Sox resurrections looms. I attempt to be as neutral of a baseball observer as possible, but I can’t help but be biased towards the Indians. Among the other teams, there are none that I have any particular antipathy against, with two exceptions (sure, at the moment I find Philadelphia and Arizona insufferable due to various management personalities, but I hold no inherent ill-will towards those franchises). Those two are the Tigers, simply because of the collegiate loyalty of many of their fans, and the White Sox, the one team I just flat out don’t like. So I now tend to view the White Sox as possessing black magic. Jose Abreu could be a more reasonable explanation should they overplay expectations. I plan on seeing the Twins in Baltimore at the end of August, maybe they could call up Byron Buxton for me then? I keep waffling on this division, and the pitchers keep getting hurt. The Angels have fooled me each of the past two seasons, but made a valiant effort to deepen their staff with the Trumbo trade. With the carnage going on in Oakland and Texas, it’s not outside the realm of reason to suggest that Los Angeles may have the most stable group of pitchers in the division. It’s also easy to forget that Pujols is only a year removed from being a down-ballot MVP candidate. Things haven’t gone great for the Rangers since Josh Hamilton was on fire and they were hailed by some as the greatest team since the 1998 Yankees (May 2012 or so). While this has been amusing, it would be easy to overstate the extent of their struggles given that they have made the playoffs once and barely missed in 2013. The trade for Fielder and signing of Choo make a lot of sense for the short-term; the biggest obvious concerns are the injuries that have piled up and a more general thinning of the starting pitching, but none of the other AL West contenders are free of such questions. I’ve never fully bought in to the 2012-13 A’s, but that’s a reflection on me, not the team. They’ve stocked the bullpen, but the injuries to Parker and Griffin have thinned the starting ranks, and Scott Kazmir is one of the still-healthy pitchers. Uh-oh. The Mariners are good enough that positive deviations from expectations can put them in the hunt for a playoff spot, but to this outsider #6org appears to be in job preservation rather than strategic planning mode. Maybe they’ve finally found their own competitive edge in black magic to destroy their opponents’ pitching staffs. The Astros are still not good, but the league/division shift obscured the fact that even from a W-L record, they were no worse in ’13 than ’12 (CTR ticked up from 46 to 48). I was a tad too optimistic about their 2013 record, but people who are picking them to once again be historically bad are being a little silly. The bullpen alone is easy pickings for improvement, let alone players like Dexter Fowler and Scott Feldman brought in as placeholders. 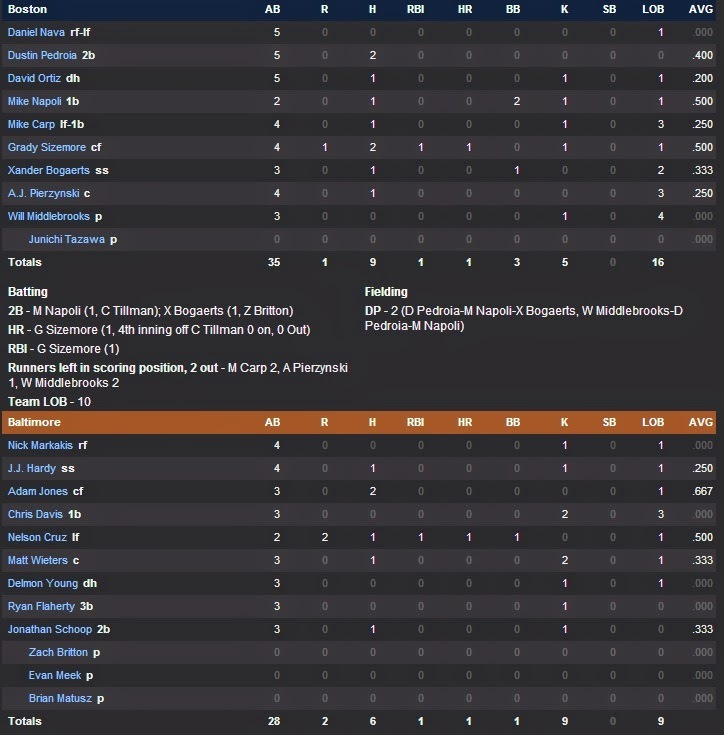 The 2013 Nationals were a wonderful lesson in why it’s dumb to pick teams to win 100 games, in why it’s dumb to ignore the plexiglas principle, and why if everyone is picking one outcome, you can often look smart by picking anything else. 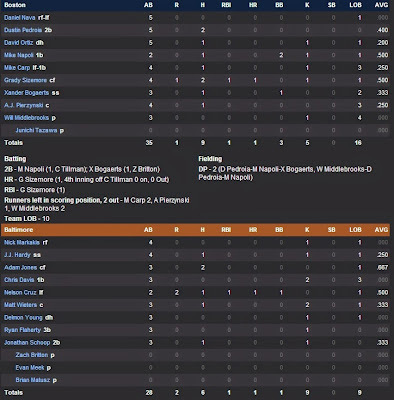 The 2014 Nationals appear to me to present a wonderful lesson in why one should not get hung up on the previous year’s performance in picking the next season, and in the benefits of playing in a weakened division. I’m picking them to win the World Series not because I’m convinced they are the best team in MLB (although they certainly could be), but because of the strongest teams, they’re the ones with the best combination of talent, weak-ish division, and playing in the inferior league. I was going to pick the Braves second even before the UCLs started popping, but I might have picked them for a wildcard spot before Beachy and Medlen went down. The hope is there for a Jason Heyward monster season, but the loss of McCann and the loss of luster of the Upton brother combination make the offense a bigger question mark. No team is ever more underrated than a poor team playing in a huge media market; you’d think the Mets were closer to 1962 than 2001 based solely on media and fan kvetching. They seem like a perfectly normal mediocre team to me. It might be wise to pick the Phillies ahead of the Mets, but it’s more fun to do it this way. The Marlins look lousy on paper but have to be one of the higher variance teams widely picked to have the worst record in their league. The Cardinals organization is drawing high praise from all over the map, and for good reason--there is no other team that appears better positioned to weather injuries or implosions. Still, the smart money would bet on a decline in record from 2013, and in the mainstream narrative they are benefitting a bit from the halo of postseason success. They are still very well-positioned in the NL Central. Everyone should be granted one off-the-wall pick and mine is Milwaukee as a wildcard team. The addition of Garza makes their rotation quite respectable and they can easily gain a few wins on paper simply by using a non-Betancourt humanoid at first and avoiding last year’s second base meltdown (either Weeks or Gennett should be able to handle that on their own). And while it has nothing to do with a rational evaluation of their chances, the absurd suspension of A-Rod makes Ryan Braun the de facto symbol of the forces of resistance against the steroid totalitarians, and gives him and the Brewers the moral high ground. A lot of things went right for the Pirates in 2013, and I really don’t like their team better than Cincinnati’s, but the Reds have very little depth, particular offensively. An injury to Votto or Bruce would be disastrous, as the rest of the lineup features declining veterans (Ludwick, Phillips), a thoroughly unremarkable Frazier, and a cadre of youngish guys with questionable on base ability (Mesoraco, Cozart, Hamilton). The most interesting thing about the Cubs season will likely be the countdown to Baez & Bryant, but bounce back seasons from Castro and Rizzo are just as important to the long-term plan. The Dodgers are an interesting case, as they appear to me to be highly overrated even by objective systems (BP calls for 98 wins, a figure which I find shocking). A healthy and full potential Dodger team might indeed be a juggernaut, but they have plenty of star players with big question marks (Kemp, Ramirez, Puig, Crawford), and a couple very sketchy offensive positions (second and third base). I’m not saying they shouldn’t be clear favorites in the NL West, and maybe I’m just missing something (and I picked them to win last year, which while hardly bold was not nearly as mundane as it is this year), but a 90% playoff probability doesn’t compute. The Giants will attempt to continue their even year success, and I think they have a pretty good shot to do so; a reasonably effective Tim Hudson and return to form from Matt Cain may be key. The Diamondbacks improved last year, they just don’t realize it because the Pythagorean fortune didn’t persist. When your big moves are to trade for Mark Trumbo and sign Bronson Arroyo, staying at .500 begins to feel ambitious. The Padres have taken over the mantle of the most boring team in baseball; it’s hard to see how they contend without a temporary blip like they experienced in 2010. The Rockies offer some more boom potential if for no reason other than Tulo, but contention is still a longshot. I believe that were this to come to fruition, it would be the most southern World Series in history, between two cities that are in no way southern. Assuming he only misses a start or two. Writing an Indians preview is something of an annual tradition here, and I see no reason to stop now. My interest at this point really lies in amusing myself by seeing if I can correctly predict the 25-man roster. There are a lot of places on the internet where you can find micro-analysis of teams and players; it’s not my strength as an analyst, and so for the most part any such analysis here will be perfunctory by design. The Indians certainly surpassed my expectations in 2013, winning 92 games and earning one of the two wildcard playoff berths before being shut out by Tampa Bay in the one-game playoff, which I had the mixed pleasure of attending (pro: first playoff game, con: lousy outcome for an Indians fan). However, the offseason that follows has felt a lot like 2008--standing pat rather than bolstering the roster to take another shot. While such a decision should hardly be surprising given the track record of the Dolan-era Indians, it was a little jarring coming on the heels of the team’s aggressive attempt to contend in 2011 (most notably the Ubaldo Jimenez trade, which finally paid belated dividends and looks less of a disaster than anticipated as the prospects sent to Colorado have fallen upon hard times) and last season’s off-season spending spree that netted Nick Swisher and Michael Bourn. The only free agent signing that is a lock for the 2014 roster is David Murphy, and a second LOOGY for the pen (Josh Outman) is the only trade acquisition that figures to make an impact. Meanwhile, two starters (Jimenez and Scott Kazmir) signed multi-year deals with other clubs. This is not to say that these were not the right moves--I tend to think that the Indians need to make significant headway in player development before they can consider themselves a perennial contender given their financial resources--but they suggest that the front office doesn’t buy its own rhetoric about the team’s competitive prospects in 2014. I don’t think I would have wanted to sign Jimenez and Kazmir to those contracts either, but it’s hard to say that the Indians roster looks better today than it did on October 2. Starting pitching remains a big question mark for the Tribe. Justin Masterson was good again last year, but he’s yet to put together consecutive effective seasons, and his struggles with lefties and sinker/slider reliance make him a disquieting pitcher in which to place one’s trust. He also is the owner of a big arbitration raise and a potential trade deadline casualty should Cleveland fail to contend. Danny Salazar was brilliant in the minors and his ten major league starts last year, and appears to have all the necessary stuff to be a top of the rotation arm, but is building off of a base of just 149 total innings pitched. Corey Kluber was a pleasant surprise, a reliable middle of the rotation arm earning cult status in the internet baseball community (or maybe just one extremely loyal devotee; the strength of the Kluber movement is unclear). Zach McAllister represents a fourth righty with a rotation spot essentially sewn up, but his 3.75 ERA exaggerates his effectiveness (4.54 RA, 4.88 eRA), and he does not strike me as a pitcher with significant untapped potential. There are a variety of contenders for the fifth spot, from washed up vets (Aaron Harang and Shaun Marcum) to former top prospect (Carlos Carrasco) to soon-to-be former top prospect (Trevor Bauer) to junkballing righty (Josh Tomlin). The smart money is on Carrasco; the organization has remained positive about his potential and he is out of options. If he does not win the job, expect him to get a bullpen spot. Bauer will probably be given more time to work through his mechanical issues in AAA, while Marcum is unlikely to be ready for Opening Day, and Harang appears to be emergency depth. Tomlin is the pitcher most likely to give Carrasco a run for his money for the spot. The bullpen will take on a very different look than it did on Opening Day 2013, as the seventh, eighth, and ninth inning options are all in very different places. The bullpen shakeup started with injury and legal trouble for Chris Perez, who was utilized as the closer when available but fell out of favor with the brass, leading to an unceremonious non-tender. Vinnie Pestano, who was extremely effective in the setup role in 2011-12, struggled all season, spending much of it in Columbus. Joe Smith was solid and moved up from the seventh to eighth inning, but signed a multi-year deal with the Angels. In their stead, the Indians have returned to their standard closer strategy: someone else’s reject, often with questionable stuff or command. John Axford represents the latter, and sad to say one of those 30 save seasons with a poor RA appears to be the optimum outcome. Cody Allen will serve as one of the top set up man, provided his arm doesn’t fall off--Terry Francona’s usage of Allen was bizarre last year, as even as he moved up the pecking order in trust, he was not held back from more mundane situations, leading to a largely unnecessary 77 appearances (second in the AL). He’ll be joined by Bryan Shaw, who earned Francona’s trust with a 2.84 eRA, 9.0 KG, and 3.5 WG over 75 innings. The other two sure things for the pen are the LOOGYs. Marc Rzepczynski pitched very well after being plucked from St. Louis’ bullpen excess, and Josh Outman was picked up from Colorado in exchange for Drew Stubbs. Neither are particularly exciting in terms of potential to outgrow their roles, although both have enough starting pedigree to warrant long relief duty. That leaves two spots open. I expect one of them to go to Pestano, who has the highest upside of any of the candidates by far. Other options include Nick Hagadone, who’d be a third lefty and could provide long-ish relief; a few righties who had cups of coffee in 2013 in CC Lee, Preston Guilmet, and Blake Wood; lefty Scott Barnes and Colt Hynes; and non-roster invitees including David Aardsma, Scott Atchison, Matt Capps, JC Ramirez, and Mike Zagurski. Capps would have been a pretty good guess given the team’s propensity to give the seventh spot to a veteran reclamantion project, but a sore shoulder will hold him back. My guess here is Wood, who had was serviceable for the Royals over 120 inning in 2010-11 but missed all of 2012 and spent 2013 working his way through the Indians farm save two September appearances in the bigs. Wood has walked too many batters throughout his career to be reliable, but his stuff and relative youth (28) will make him an attractive flier. To talk about the composition of the roster as it relates to position players, the third base situation has to take center stage. Former first-round pick Lonnie Chisenhall has never really hit that well at any level (94 OPS+ over 682 PA in the majors, 821 career minor league OPS) which has made alternatives attractive, including moving Carlos Santana to third. Santana was not serving as the regular catcher down the stretch, as Yan Gomes superior defense and surprising offensive showing freed Santana up to DH. If Santana is passable at third, I expect him to play there, a sentiment which surprises me. When the Indians started talking about this over the winter, I sort of laughed it off, but I now am convinced of their sincerity. Gomes will be the catcher and is a prime candidate for offensive regression. Nick Swisher is slated as a full-time first baseman, but can play right if need be and while he held his own offensively with 3 RAA, the Indians had hoped for more in the first year of his four-year deal. Second baseman Jason Kipnis was not nearly as good in the second half as he was in the first (149 OPS+ to 103), but the season as a whole was worthy of down-ballot MVP consideration. Asdrubal Cabrera had a disappointing year (just 2 RAA and a .297 OBA), but the only thing that would jeopardize his position at shortstop is a deadline selloff. Left field goes to Michael Brantley and his shiny new contract extension; I had been a skeptic of Brantley’s value, but he provided average production even for a corner spot last year, shedding concerns that he might be an over-extended fourth outfielder. If Swisher was a minor disappointment, Michael Bourn was a major disappointment; the center fielder had an OBA of just .322, created 4 runs/game, and missed 32 games due to injury. Right field figures to be a platoon of Ryan Raburn (right) and David Murphy (left) with Drew Stubbs shipped to Colorado. Raburn made a deal with the devil last year (.272/.357/.543 in 277 PA) and Murphy had a miserable year (.214/.273/.363, -5 RAR third lowest among AL regulars); together, more moderate luck might make them a mediocre whole. The prospect of Santana being able to cut it at third should engender more excitement than it actually does, as Cleveland lacks a good DH candidate to plug in his place. Jason Giambi provided the single most memorable Indians moment since 2007, but his overall season line of .183/.282/.371 and his current age of 43 don’t lie: he has no business getting regular playing time in the majors. I’ll assume that Chisenhall plays third and Santana is the regular DH, which still leaves a big roster question: will the Indians carry a third catcher or just use Santana as Gomes’ caddy? Given that the options are veterans Matt Treanor and Luke Carlin or minor league non-hitter Roberto Perez (623 OPS in 2013, 685 career), I’m guessing no, leaving three bench spots. One clearly belongs to utility man Mike Aviles, who is fine in that role but got too many starts (87) in 2013. Brantley can play a passable center, which means that Raburn/Murphy is fine as fourth outfielder, which does leave room for Jason Giambi. The Indians also could consider Jeff Francoeur (just say no), Nyjer Morgan, or Matt Carson as fourth outfielders. Elliott Johnson could snag a utility man spot, while September pinch-runner Jose Ramirez will be farmed out for everyday playing time. It’s conceivable that a hot spring from Bryan LaHair could put him in the mix for DH at bats as well. Frankly, my guess on the composition of the bench is no better than drawing names out of a hat. I don’t think this Indians team is well-positioned to repeat their success of 2013. The rotation isn’t particularly strong, the bullpen is unproven; the offense should be fine, but I see no reason to expect it will be any better than it was in 2013. The Tigers remain the class of the division; they have never been as invulnerable as mainstream thought would have them, but the Royals are lurking around and while it may be completely irrational, I always am wary of a White Sox miracle. And as far as wildcard prospects go, the only AL teams I’d write off completely play in the Central except for Houston. I see the 50th percentile scenario for the Tribe as 80-82, third place.